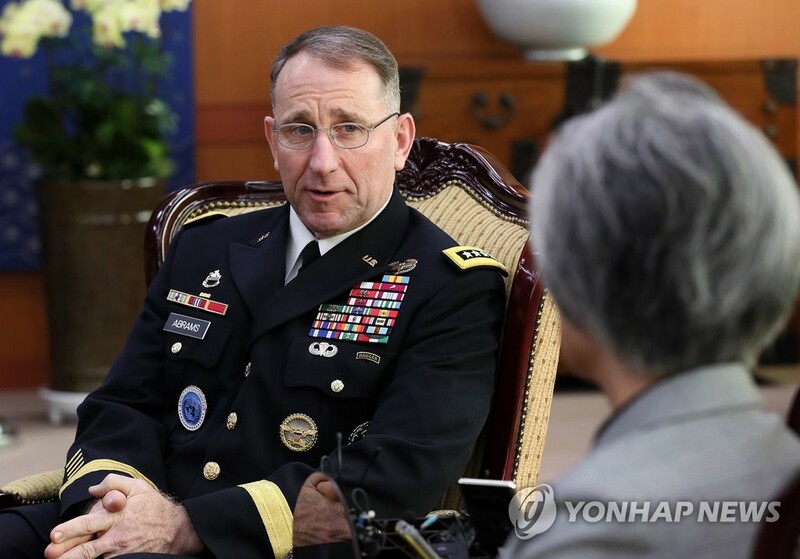 WASHINGTON, Feb. 11 (Yonhap) -- The top U.S. military commanders for Korea will brief Congress this week ahead of a second nuclear summit between U.S. President Donald Trump and North Korean leader Kim Jong-un. Adm. Philip Davidson, head of the U.S. Indo-Pacific Command, and Gen. Robert Abrams, commander of U.S. Forces Korea, will testify before the Senate Armed Services Committee Tuesday, according to its website. The hearing comes days after South Korea and the U.S. signed a preliminary agreement renewing their cost-sharing deal for stationing 28,500 American troops in the Asian nation. The allies settled for a 8.2 percent increase in South Korea's contribution to some 1.04 trillion won (US$920 million) over a one-year period instead of the annual 960 billion won from 2014-2018. The deal was reached following an impasse in negotiations, removing a source of uncertainty ahead of the second Trump-Kim summit slated for Feb. 27-28 in Hanoi, Vietnam. Despite Trump's denial, fears persist that he could offer Kim a reduction of the U.S. troop presence in South Korea in exchange for North Korea's dismantling of its nuclear weapons and ballistic missile programs. 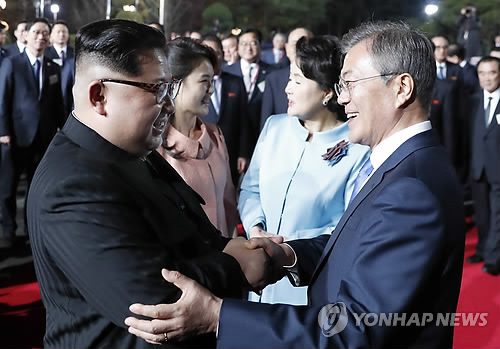 The first summit in Singapore in June produced a commitment from the leaders to "work toward" complete denuclearization of the Korean Peninsula, establish new relations and build a lasting peace on the peninsula. It also led to Trump's surprise decision to suspend South Korea-U.S. military exercises while negotiations with North Korea were under way. The Senate panel's website says the commanders will provide testimony "in review of the Defense Authorization Request for Fiscal Year 2020 and the Future Years Defense Program," referring to the Department of Defense's spending projections for the next fiscal year.